Films have a troubling way of aging people. The first and only other time I sawGarden State was over 7 years ago (before I started keeping track of what I watched) when I was in at most my early twenties. I couldn’t comprehend or empathise with the plights of the various vacuous, ambling 26-year-old individuals depicted in Garden State back then. Now I’m 28, I’ve gotten older than the characters in the film, yet they have terrifyingly remained the same age, and lo and behold but I still don’t get it. Hold on, let’s back it up. I like Scrubs. I used to love it, owned the first few series on DVD, but have since traded them in and moved on, but still chuckle at a memory from time to time, usually involving either Neil Flynn’s janitor or John C. McGinley’s Dr. Cox yelling at someone. So when I heard that Scrubs‘ star Zach Braff was writing, directing and starring in his own film, I was eager to see it, because for some reason I’d assumed it’d be similar to Scrubs in some way other than starring Zach Braff. Remember, this was some time ago, before I really got into films and could differentiate how things might differ just because they shared the same lead actor. My initial disliking of Garden State could therefore also be put down at least a little to the disappointment of it not being Scrubs: The Motion Picture. Now, however, that’s definitely not to blame. Garden State is trying really, really hard to mean something, but doesn’t seem to know what. Watching it feels like being cornered by a new-age conspiracy-theory laden hippie at a party, who won’t leave you alone until you correctly identify the colour of his aura. It forces empty symbolism and hollow revelations into your face in the vain hope that they’ll settle in and mean something, but ultimately fail because there’s no substance behind them. 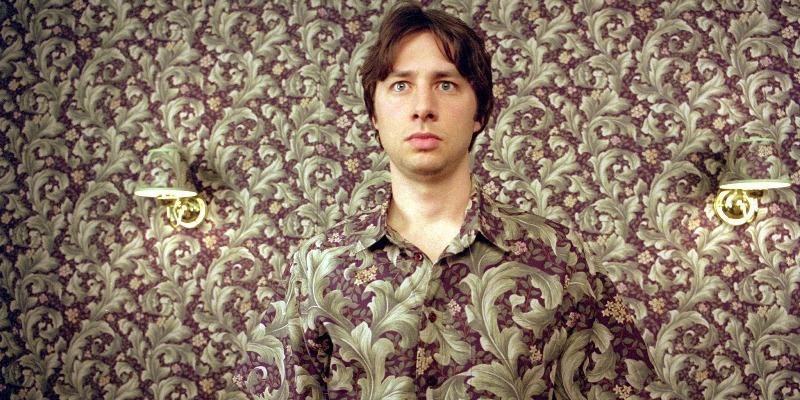 The image of Braff wearing a shirt that makes him literally blend into the background is memorable, but that’s it. Sure, it shows how he has become so numb to the world around him that he may as well be part of it now, but it’s so on the nose I can use it for spectacles. A guy is shown to be set up for life financially because he invented silent velcro, but now he’s hopelessly bored, filling his days with a desperate quest to feel enjoyment again, even if he has to endanger his own life to do so. I get it, the American dream isn’t the be all and end all of life’s goals. If only someone in the film was striving towards that goal, maybe this would be an appropriate revelation for them to realise. 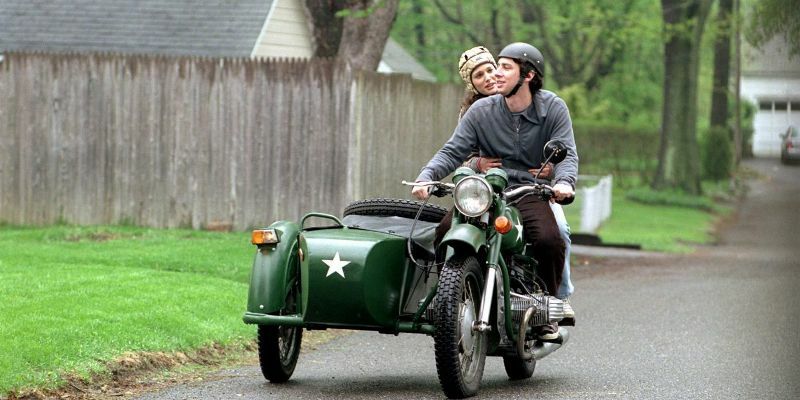 A great deal of Garden State‘s script deals with supposedly life changing events. Some are flippant, with Sam (Natalie Portman) laughably telling Andrew that listening to The Shins will change his life, when in fact they sound like every other band from this film’s era, but when towards the end Andrew tells Sam that it wasn’t just this band, but in fact her that has changed his life, I just couldn’t take it any more. I went back through my notes. I re-read the film’s synopsis. I contemplated watching it again to see if I’d missed something but couldn’t bring myself to do so. Instead, I’m just going to sit here and ponder what the flying ballsack is he talking about, because at no point in this entire film did anything even remotely life-affirming take place between these two. They buried one of her pets. She taught him to do something unique but pointless once in a while. They screamed into a canyon. If anything it was Andrew’s own decision to stop taking the medication he’d been on since a child that changed anything, and literally nothing else. What is the big deal with this film? I’m genuinely frustrated just sitting here typing this. OK so the acting is good, great in some places. Ian Holm is always a delight, and he puts such history into his dialogue with Braff. So much can be read from their conversations simply from the venom and passion in his voice. Jim Parsons shows up in an early role to prove that he can only really ever play Dr. Sheldon Cooper, but other supporting roles from Peter Saarsgard, Jean Smart, Denis O’Hare and of course Natalie Portman make this not wholly unbearable. It’s also quite well directed, if a little too much in places. I particularly liked the L.A.-set opening, with scenes blurring into one another to better highlight how Andrew’s days just kind of run together. The in-ear microphone he wears as a waiter announces the flight he’s getting on at the airport, that sort of thing. It works well to set everything up, but these kind of stylistic touches are abandoned pretty much as soon as he touches down in New Jersey. This is a soundtrack movie. It’s a collection of loosely tied together scenes, most of which are accompanied by some key, integral song choice but, considering how little a fan I am of music in general there’s no surprise that this isn’t a film for me. No surprise either that I’ve got no intention of watching Braff’s follow-up, Wish I Was Here, anytime soon. 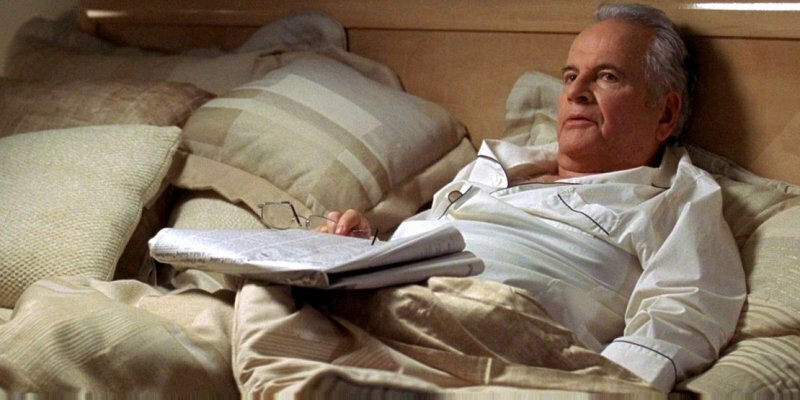 This entry was posted in 05/10, Choose Life, Empire Top 500, French Toast Sunday, Review, The List and tagged Denis O'Hare, Garden State, Ian Holm, Jean Smart, Jim Parsons, Natalie Portman, Peter Saarsgard, Zach Braff by jaycluitt. Bookmark the permalink. Yes a Soundtrack movie. That is a perfect way to describe this movie. I did like the scene where Zack and Natalie’s character first meet and I thought the girl he hits on at the party was kind of cute but that is about all I remember about it. Trust you to only remember the women, Vern! But yeah, it’s a pretty forgettable film. For once I actually share your apathy for a film. This did little for me either. I could barely remember what happened a couple of days after watching it. A big, whopping ‘meh’ of a film. Hurrah! I’ve no idea why I own this on DVD, but I certainly won’t for very much longer.